Most guests spend approximately 4-11 hours at the center. Star Castle Family Entertainment Center is no longer available. Enjoy a fun-packed adventure for the entire family at Star Castle Family Entertainment Center, whose founders Jim Siskin and Rudy Bairas have been striving to provide guests with a fun, exciting atmosphere since 1984. Take the family to Star Castle for the opportunity to enjoy laser tag, pizza, skating, and of course, arcades! With games and fun for kids and adults of all ages, this entertainment center will keep you busy and coming back for more. This one-stop destination is perfect for good, clean family fun, and it is the ideal location for a child's party or any other occasion. With a full-size roller skating rink, state of the art laser tag arena, food court, and a two-story Party Hall, Star Castle is the best family fun provider in Savannah! In the roller skating rink, you can glide across 10,000 square feet of maple skating floor while listening to the area's best DJs as they play the latest top 40 hits and old school classics and get you to dance and move to the beat. The audio and lighting system is state of the art, and the Star Castle offers skate rentals, as well as a skate shop, where you can purchase your own custom roller skates, accessories, and more. Skate sizes range from toddler's 8 to men's 16, and lockers are available for storage of personal items. 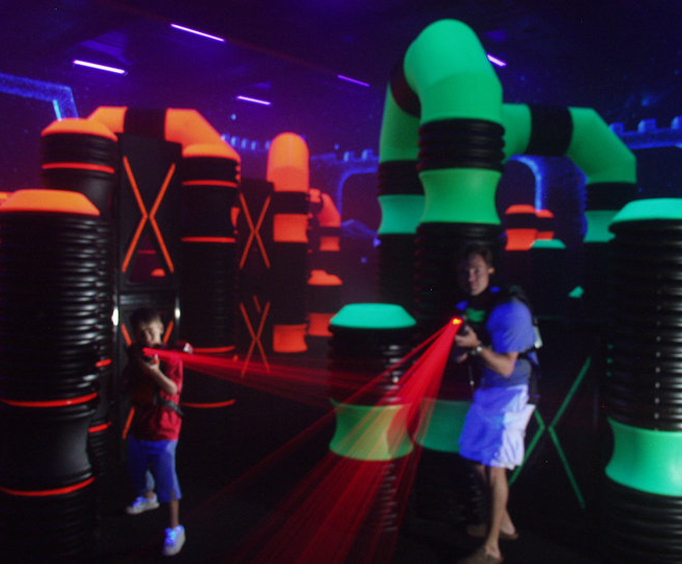 Play laser tag in Star Castle's 4,000 square foot arena, featuring a custom maze, ramps, black lights, fog, a professional audio system, and even a spectator viewing room. Star Castle features the area's only Lasertron facility, and the course obstacles feature soft, round edges to maximize player safety. Join either the Red or Green team for your 20-minute game – the longest laser tag games in the area. This game is great exercise, perfect for relieving stress, and encourages teamwork among the players. Parents, rest assured that an attendant is always present during matches for safety and fair game play, as well as to explain the equipment and rules. At Star Castle's arcade, you can enjoy a full spectrum of 55 cutting-edge video and redemption games, not to mention many nostalgic classics. You can also enjoy special attraction games like Laser Frenzy, an exciting new arcade-style laser maze with high-tech interactive game play, and the Mad Wave Motion Theater, a two-seat motion simulator that delivers up to two G-Forces of acceleration. After you play, make sure to redeem your winning score at the largest redemption counter in the area, featuring hundreds of prizes to choose from. During all of the fun, make sure to enjoy Star Castle's full-service kitchen and snack bar. 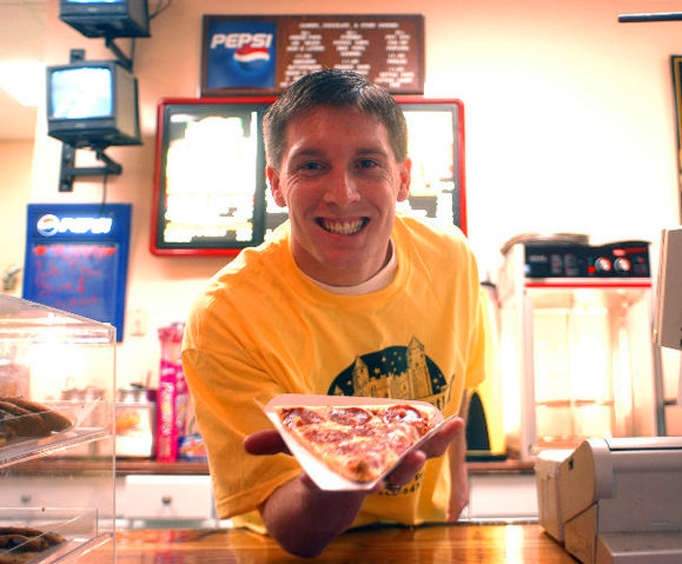 Along with oven-fresh pizzas, you can also enjoy all-beef hot dogs, movie theater popcorn, and french fries and chicken wings cooked to order. Try some of the delicious snacks and desserts, including fresh funnel fries, slushies, ice cream treats, candy, chips, sodas, and more. There is also a kid's menu available. 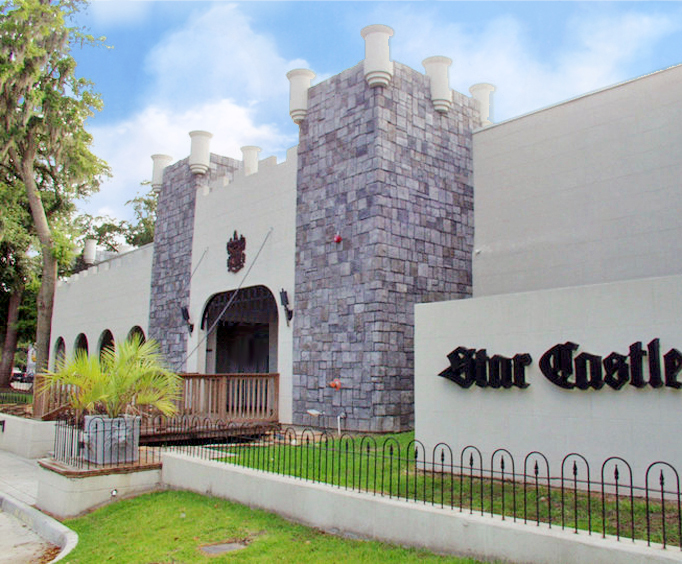 If you're looking for a fun way to keep your family happy and entertained, make sure to take them to the Star Castle Family Entertainment Center for good fun at this family fun zone! Enjoy up to seven hours of access to Star Castle's glorious skating rink, complete with an entertaining DJ, top 40 hits, personal lockers, and a skate shop available for anything you desire. This combo ticket gives you admission to a 20-minute game of laser tag in the 4,000 square foot arena, hours of fun on the roller skating rink, as well as unlimited, fresh-from-the-oven pizza in the food court. Have fun with family and friends in Star Castle's 4,000 square foot laser tag arena, where you can enjoy admission to a 20-minute game, complete with a custom maze, ramps, black lights, fog, a professional audio system, and even a spectator viewing room.